One day, filmmaker Crystal Moselle was walking along a New York street when a group of teenagers, all quite striking looking with long, black hair, raced past. Intrigued, she followed to ask them who they were, and this was when she met the Angulo brothers. The six brothers, along with a younger sister, lived in an apartment with their parents. But their father feared the outside world, and only rarely took them outside the apartment. The boys had an extensive DVD collection, however, and would spend much of their time recreating the films inside their home. By the time Moselle met them, they had more freedom, but their own archival footage along with interviews give a good sense of what their lives were like. It’s a fascinating idea, and one which leaves the audience needing to know more. How did they go once they were freed? Why exactly where they kept this way? What now for them? The boys are so engaging, and the Q&A session after gave me confidence that they were not just a project that would then be dumped. They have a future; but from what a strange beginning. 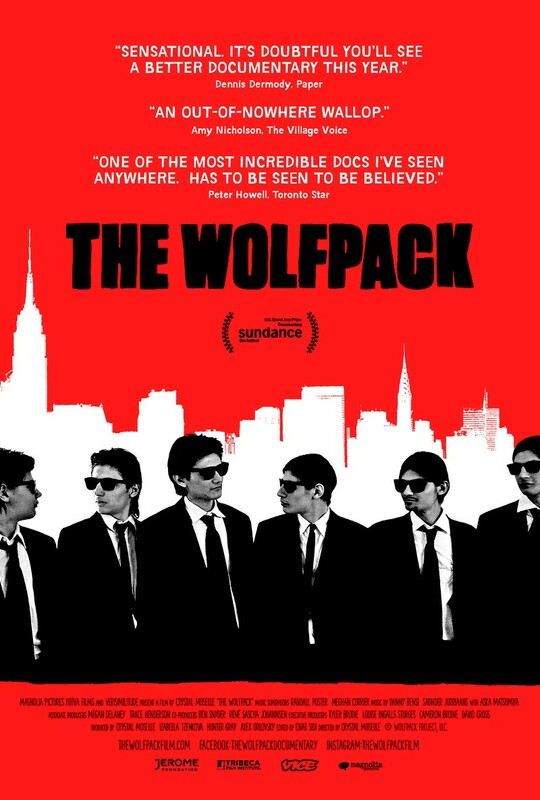 The Wolfpack opens at Nova Cinemas on August 27.